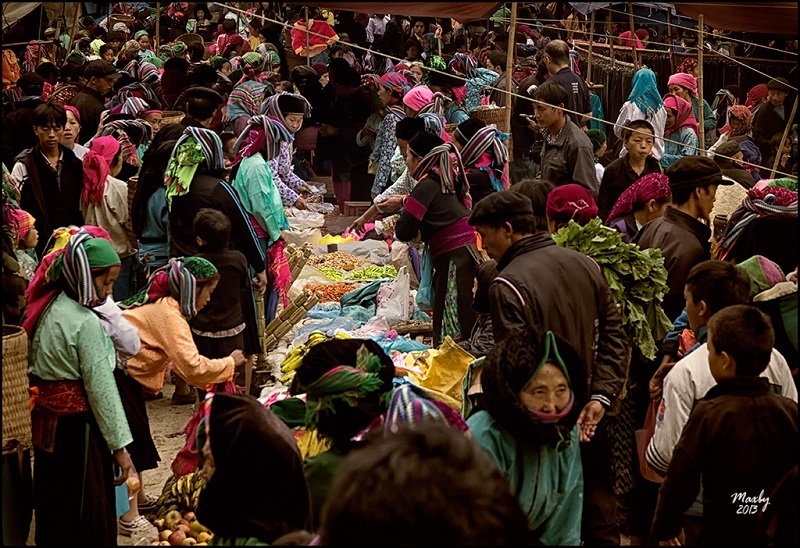 Sa Phin Market is one of the highlights of the backward fairs in rocky land of Ha Giang. The market is located in Sa Phin Commune, Dong Van District, about 40km from Dong Van town, just below the road leading to the mansion of the Vuong. Sa Phin is also referred to as "Heaven Gate" of the rocky plateau. Sa Phin market is notoriously backward unique fair for ethnic groups in Ha Giang. Every week, at each time to the market, the people here carry burden baskets of goods and agricultural products to exchange, sell, buy food and essential supplies for the whole family for a week. Not merely shopping, barter, going to Sa Phin market, people also enjoy wine with partners. Sa Phin backward market is seen as a unique love market of Ha Giang rocky plateau. For ethnic groups in the highlands, the fair has become indispensable in the daily life of each family. 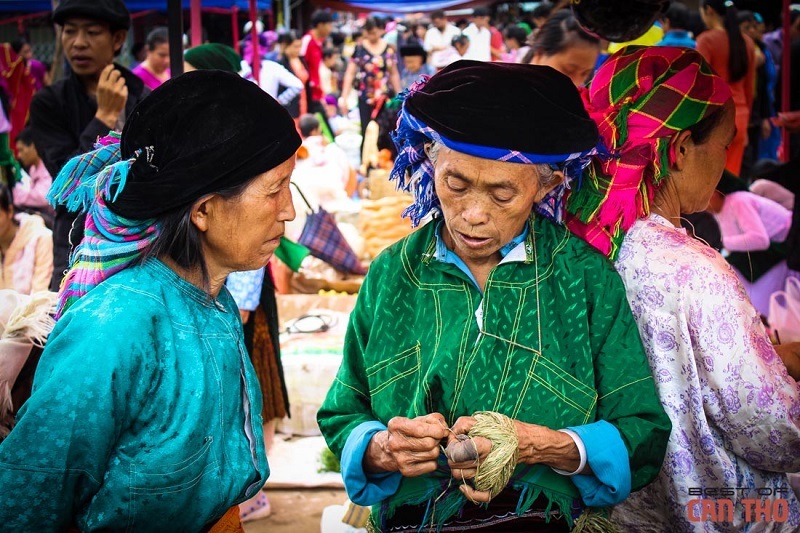 On market days, around the roads leading to Sa Phin market, we will easily see Hmong women with large baskets on their backs, they come to the market to buy food for the week because there is no fair until the next week. The young Hmong girls in beautiful colorful costumes invite each other to Sa Phin markets but not for trading, bartering, but for making friends. Young men in the region, too, they go to the market not only for shopping but also to drinking, making friends and gathering after days of hard work. Sa Phin fair in Ha Giang retains a lot of the ancient culture of the traditional fair in Dong Van Plateau. There is an interesting thing is that you can plan to travel to Ha Giang any in time also, it may coincide with the fair. Therefore, each time visiting Ha Giang, take some time to look at Sa Phin fair to be immersed in the atmosphere of an ancient traditional fair of ethnic groups of the Northern mountainous area.